According to TMZ, Meryl Streep just applied to trademark her name, presumably in hopes of preventing people from profiting off of her personal brand. 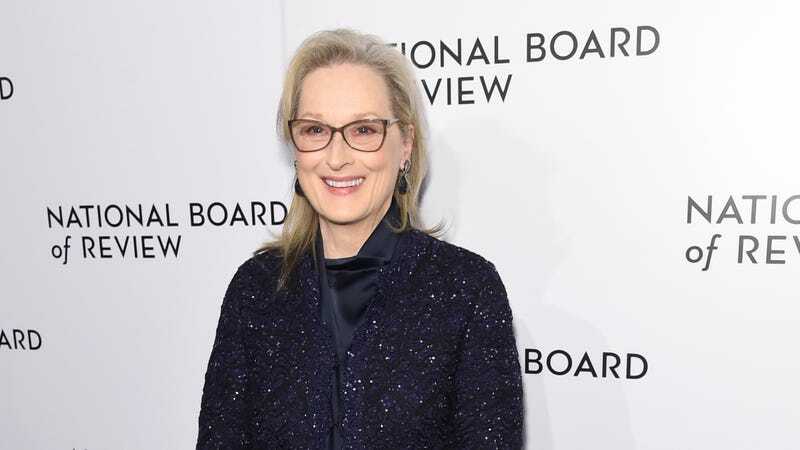 Streep reportedly paid $275 for the application, which should cover her for the use of her name for “public speaking engagements, autograph signings, and websites related to motion pictures.” This could indicate that Streep is planning some kind of big marketing push, perhaps with a series of speaking engagements, autograph signings, and a motion picture-related website—Meryl.com seems to be available if she wants it. Meryl "The Big Game" Streep. Pass it on.